1. Made of high quality crystal glass, durable and reliable,no harm to your pets. 2.Delicate, smooth and high brightness, perfectly blend in your tanks to increase the beauty of the landscape. 3.Easy to remove planaria, leeches and worms without chemical or medication pollution. 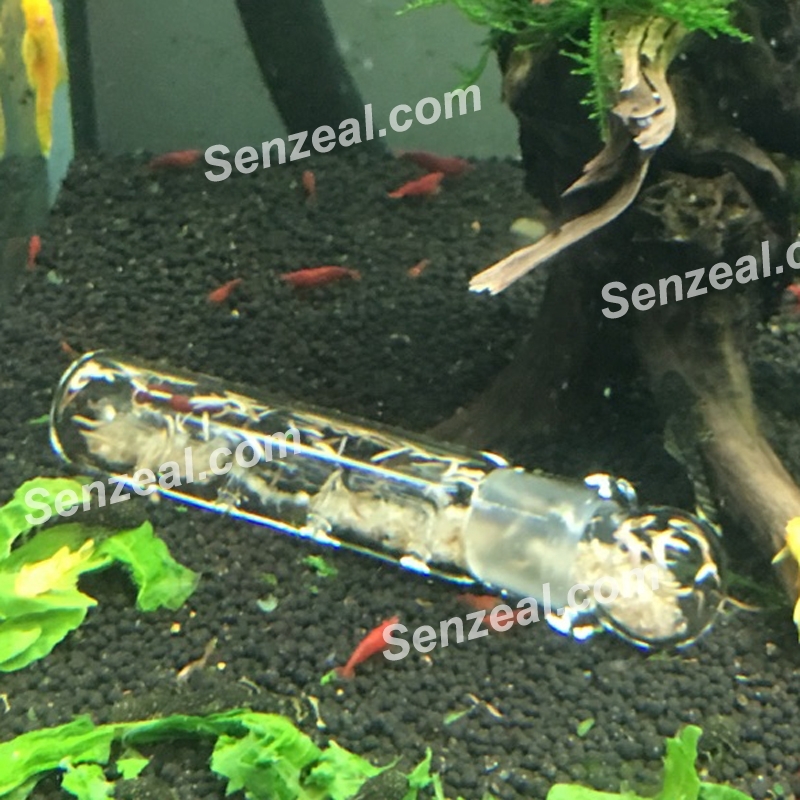 4.3 hole design, convenient and practical,aim to trap planaria which can never get rid of so to keep a healthier living condition for shrimps and fish. 5.With high brightness and no water ripples,easy to clean and not easy to breed bacteria. 6.Suitable for planted tank with cherry shrimp, crystal red shrimp and dwarf shrimp. Put raw pork liver, blood worms, dead fish,etc as a bait,then fill the trap with water and place it on top of the substrate, then gentlemanly push to settle into the substrate. Take out the trap next day and clear and wash the trip, and then repeat the steps. Do not feed bait before trapping, and turn off the lights for trapping effect will better.